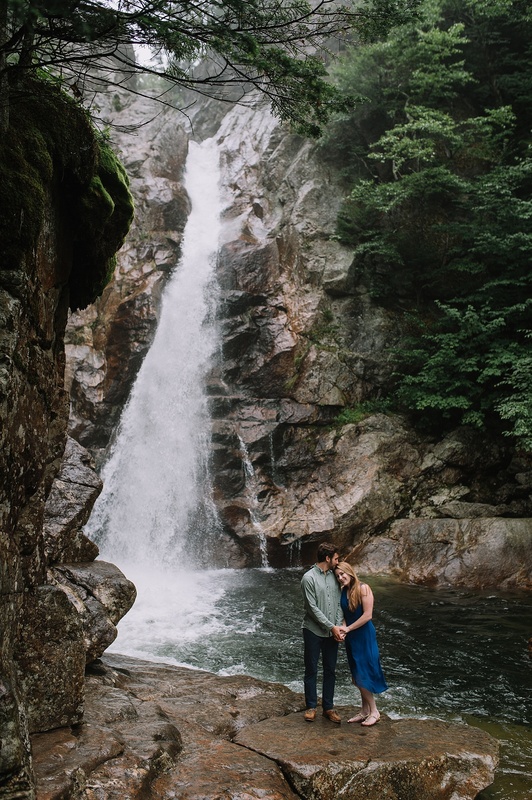 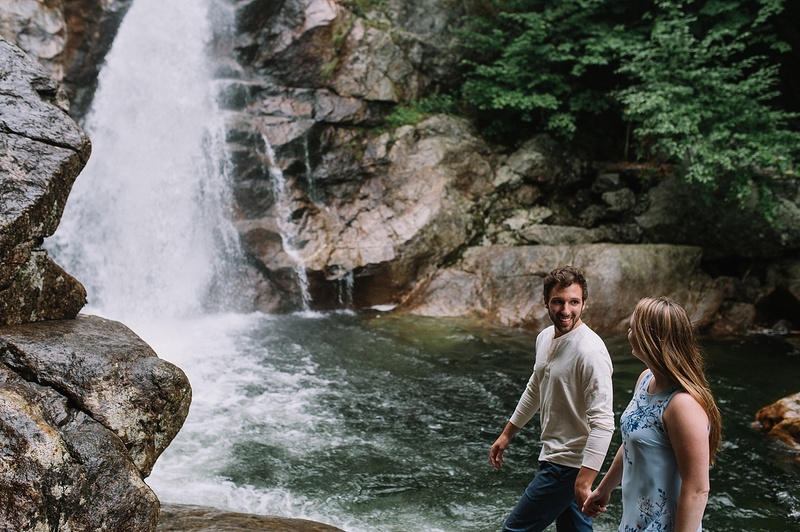 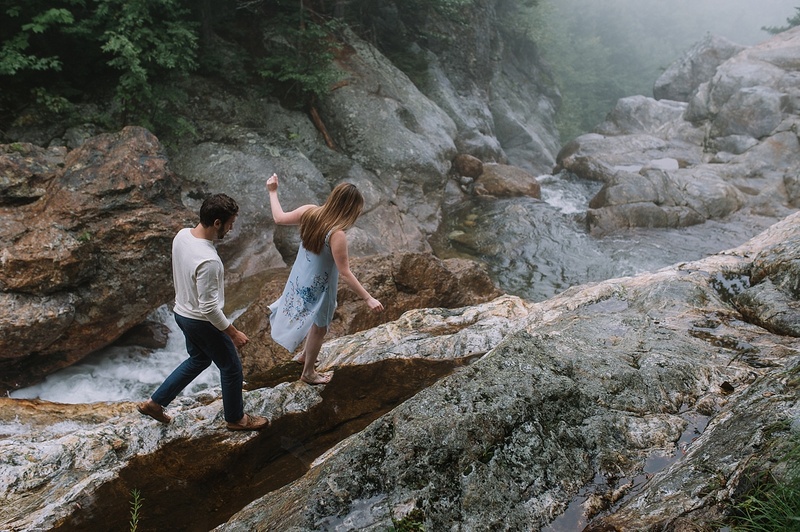 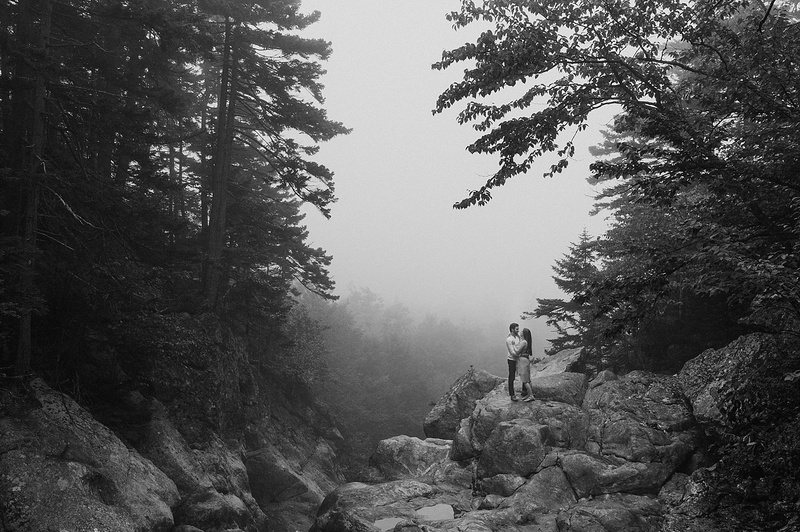 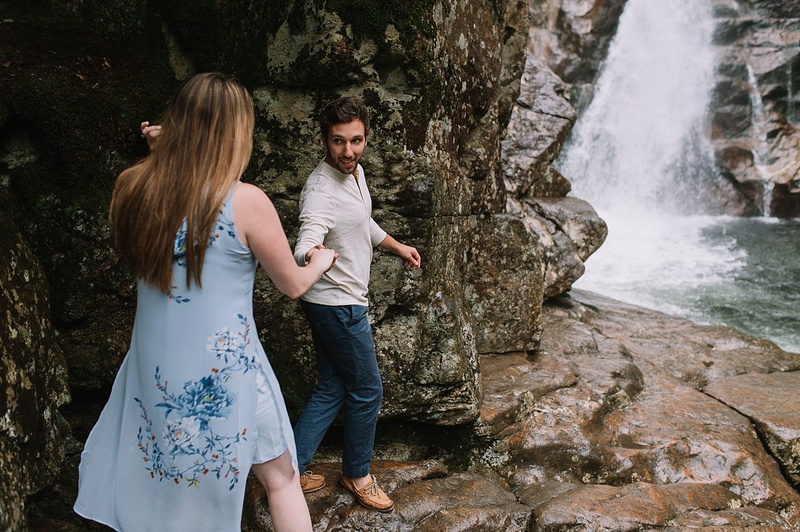 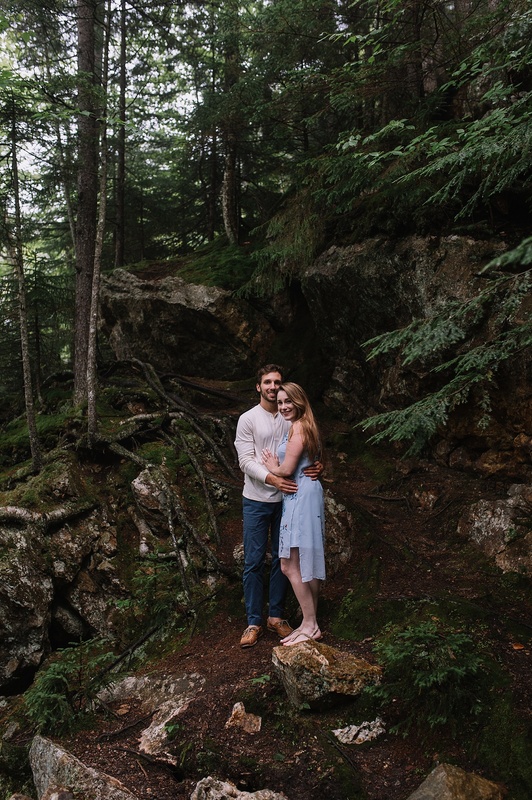 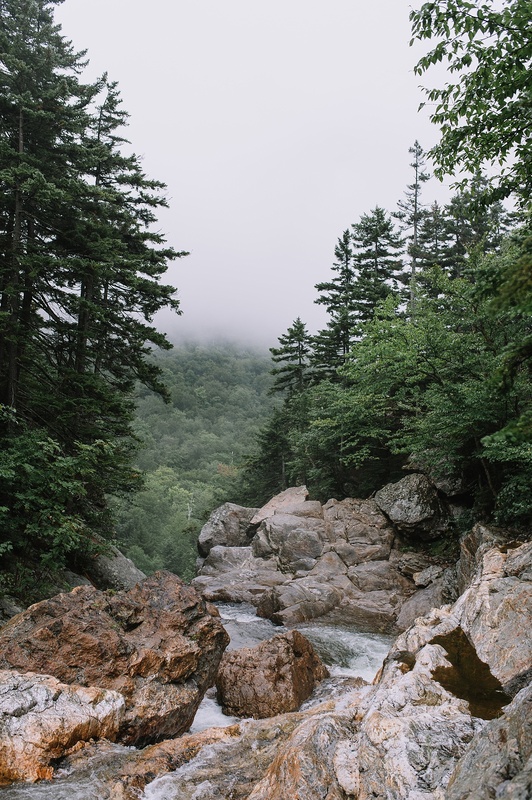 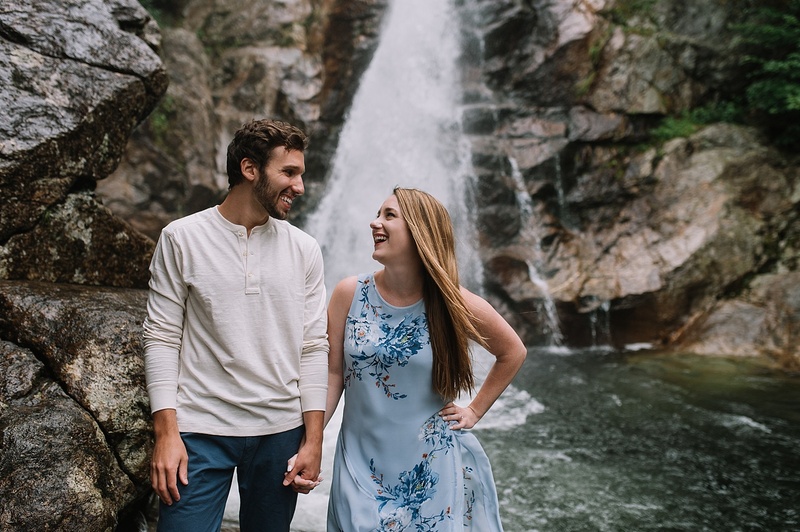 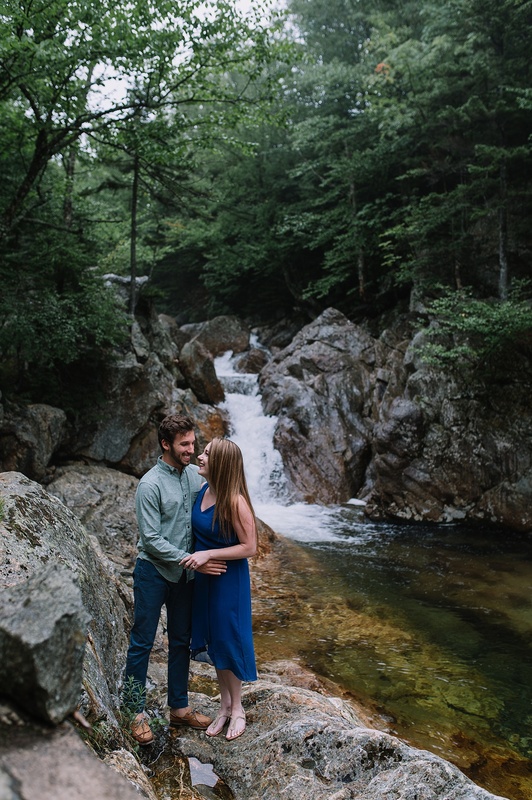 Kate & Nick were up for any and all adventures during their engagement session. 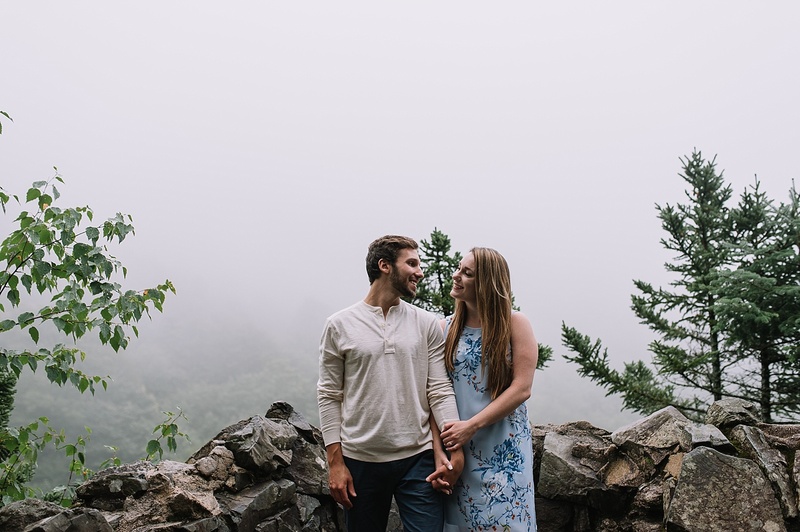 With the mist letting up and the fog rolling in, it created a dramatic backdrop for us. 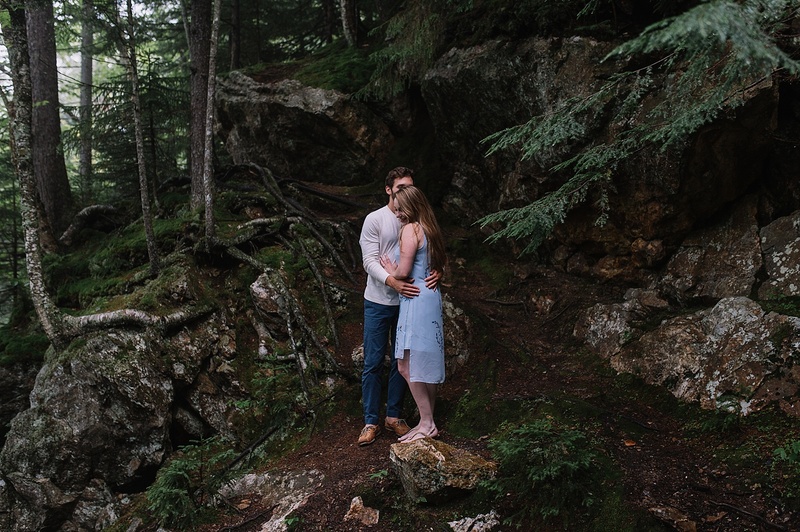 Kate was willing to make the climb in her dress on wet rocks to capture the dramatic black and white photo at the end of the post. 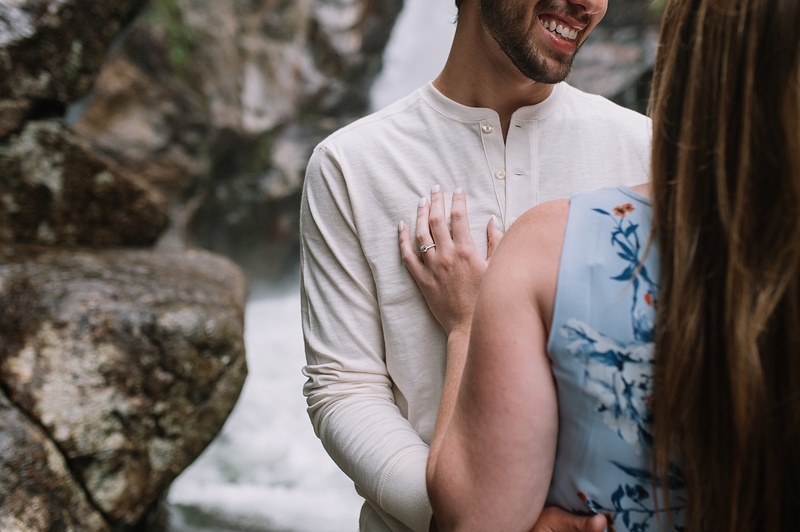 But boy was it worth it! 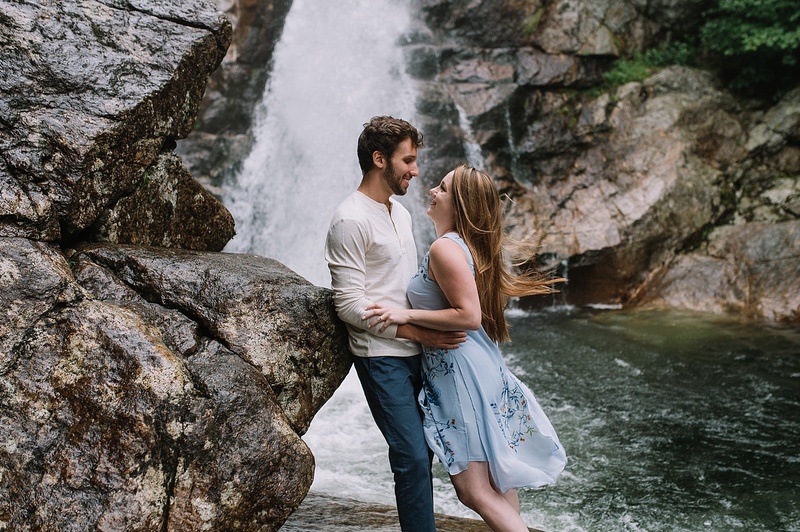 I am so excited for their wedding next June and can’t wait to see where we will adventure to next!